CHRISTIANSTED – The Virgin Islands Department of Justice said Tuesday that it is holding $600,000 in child support funds it has collected but cannot distribute because it can’t find the people it belongs to. V.I. 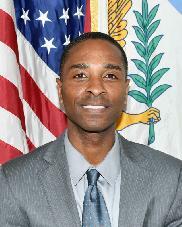 Attorney General Claude Walker began “Operation Save Our Children” in late September as part of an effort to ensure that child support orders of the Superior Court are strictly enforced. In late January, Walker said that $1.8 million had been collected in the first four months of the program. But on Tuesday, Walker said that at least 130 parents had not come forward to claim $600,000 in funds that are currently held by the Paternity & Child Support Division (PCSD). “These unclaimed monies were collected by the Division from parents for their children, and amounts are as as much as $5,000. PCSD has had difficulty locating these parents for a number of reasons, to include lack of a current address,” Walker said. Attorney General Claude Earl Walker has directed PCSD to launch a public campaign to notify the community of these unclaimed funds. PCSD will publicly release the names of the parents within the next week, and any person whose name is on the list must physically appear at a PCSD office and present personal identifying information to collect funds owed, or if off-island, then contact PSCD to have alternative arrangements made. In addition, once the list is released, any person having knowledge of the whereabouts of any individual listed should contact PSCD. For further information, please call (340) 775-3070.